Today is an official fangirling day for me. 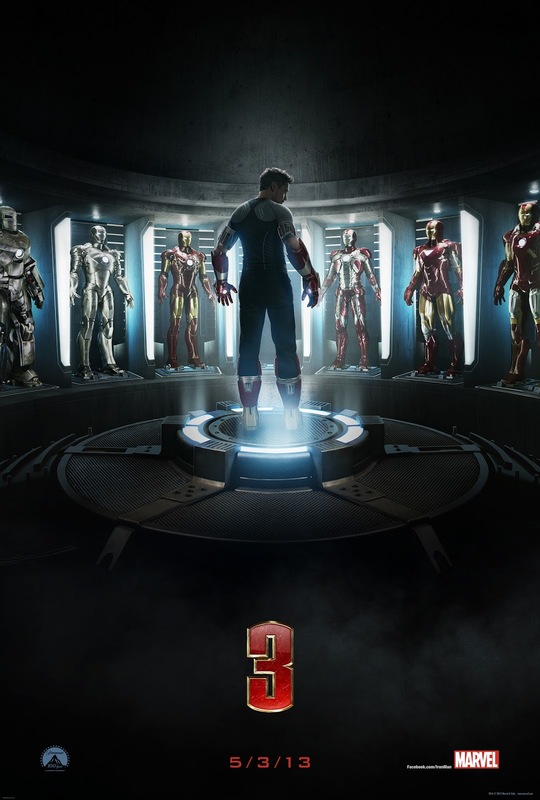 The Iron Man 3 trailer is out. Skyfall has it's Royal World Premiere at the Royal Albert Hall. Two films I've been anxiously awaiting. Iron Man 3 was one of the two panels I was determined to go to at SDCC (The Firefly 10th anniversary panel was the other). I was NOT disappointed. Even though they had a new director, Shane Black, under the wise instruction of Iron Man 1 & 2 director, Jon Favreau who returns in the third film as recurring character, Happy Hogan, showed us AWESOME footage from the as of then incomplete film! I died. We had a glimpse of Ben Kingsley's Mandarin, the gorgeous Guy Pierce as Aldrich Killian, the ever-lovely Gwyneth Paltrow as Pepper Potts and of course, the incomparable Robert Downey Jr.. And we even got a great clip of banter between Happy and Tony. It was yet another perfect panel from the awesome Iron Man crew. So now that the official trailer is out... My mind has been blown even more. We get a glimpse at Iron Patriot, as well as a pretty good glimpse of what the story will be. We see Maya Hansen (Rebecca Hall), Guy Pierce again, The NEW suit, Rhodey, a great voiceover by Ben Kingsley's Mandarin, and a new question that must be answered, WHO is in the suit? I just keep rewatching and rewatching. What did you think? Are you even more stoked for 3 May 2013??? 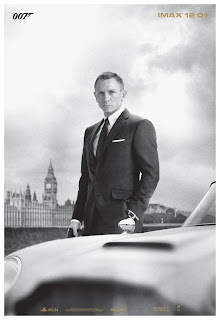 Second awesome thing happening today is the Royal World Premiere of SKYFALL at Royal Albert Hall. It's the 50th Anniversary of James Bond and I couldn't be more excited about the return of the MI6 agent. Daniel Craig, one of my favourite human beings on earth, returns as the brilliant and brutal Bond in that reunites him with Road To Perdition director, Sam Mendes. The reviews have been extremely positive and all I can say is how jealous I am of all the people who get to see it in the two weeks prior to it being released in the US. The cast is incredible, so thrilled about the addition of Ben Whishaw as Q. I saw him in MCC's The Pride a couple of years back and WOW. Basically, it's going to be a wild ride. And because it's the 50th Anniversary, they're even streaming the red carpet for those of us who aren't cool enough to be there! So, DO NOT miss out on seeing the lovely faces of Dame Judi Dench, Javier Bardem, Naomie Harris and Berenice Marlohe! As well as a number of other guests including Sherlock's Benedict Cumberbatch! It starts NOW so, yeah, get on that!